Multiplex 10 – Page 15 – An animated comedy series about movie nerds. 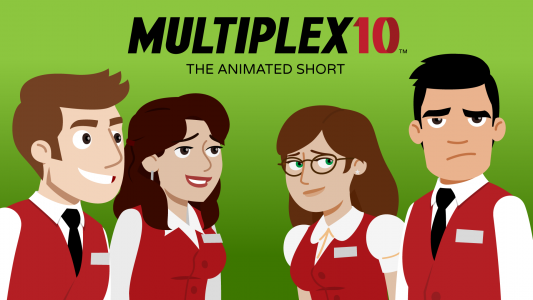 Multiplex 10 is an upcoming animated short about the staff of a movie theater. Although it will stand on its own, it is conceived as a pilot for an ongoing series. A Kickstarter project to cover the production and distribution costs of the short will be launching in the very near future.